Since 2006’s Blood of the Daleks, Big Finish have followed the life of the Eighth Doctor relatively continuously, as he travels with Lucie, then Tamsin, then Molly, and now Liv and Helen. His adventures have moved from seasons of eight one-disc releases into what is apparently the new standard: 16-part epics released in four four-disc sets. 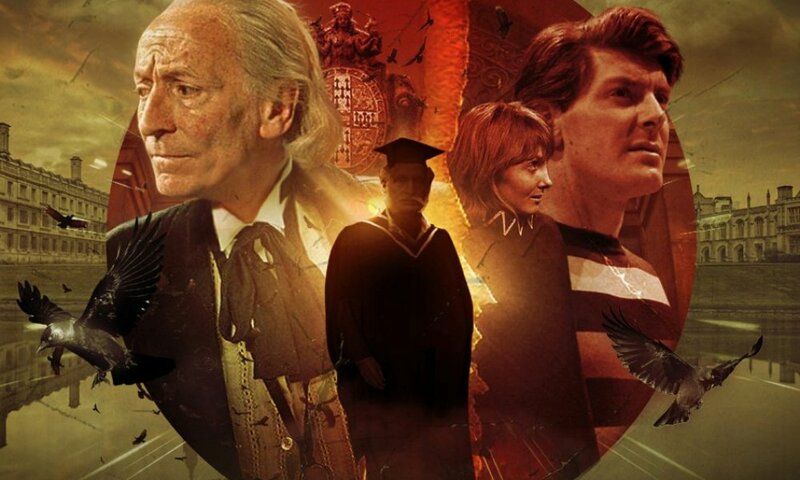 Only now, the Eighth Doctor’s timeline has fractured: while The Eighth Doctor: The Time War chronicles his life in the run-up to Night of the Doctor, Ravenous picks up from Doom Coalition to continue the Doctor’s adventures with Liv and Helen. The format of these box sets seems well-honed at this point. There are standalone adventures but hints at an arc, a mix of light-hearted, high-concept, and “heavy” stories, and the inevitable contributions of John Dorney and Matt Fitton. Doom Coalition 4 ended with Helen trapped with rogue Time Lord the Eleven, so Ravenous 1 mostly focuses on tying this up, with just hints at something “Ravenous” on the way. John Dorney kicks the whole thing off with a pair of light action stories, Their Finest Hour and How To Make a Killing in Time Travel. Both follow the Doctor and Liv on their own as they search for Helen. Their Finest Hour also works as a prequel to television’s Victory of the Daleks, with one of the Doctor’s summonses by Winston Churchill to aid Britain during its darkest hour. Like the television story it takes its inspiration from, the story is breezy and insubstantial, with the characters feeling more like archetypes than people. Ian McNeice is fun as Churchill, but is more a cartoon than a human being, and the Doctor’s thing of calling him “Winnie” is grating. Is there other historical figure that the Doctor has been shown to be so obnoxiously chummy with? It feels like most of the story is the Doctor and Liv waiting around for something to happen. Then the Doctor works out what it is and the story just stops — Dorney has an interesting idea for why aliens might intervene in World War II, but hasn’t come up with anything interesting to do with it. How To Make a Killing in Time Travel is similarly light. Like a lot of Dorney’s recent Big Finish work, it’s a dark farce, but I found this much less successful than his similar stories in UNIT: Encounters and The Diary of River Song: Series Three. It wants to be one of those stories where things just keep escalating more and more until things are completely out of control, but it didn’t quite hit the mark on that. Judith Roddy puts in a great performance as Stralla Cushing, and Christopher Ryan is good value as Security Chief Macy, but I don’t think director Ken Bentley successfully hit the tone the story needed. Halfway through, I just found myself frustrated at its apparent lack of substance. I don’t know what more was needed, but it needed more of something. As is often the case, Matt Fitton’s two contributions are really a two-parter. World of Damnation and Sweet Salvation rejoin Helen and the Eleven… but also throw in the Kandyman from The Happiness Patrol for good measure! As a fan of the 1980s, I was looking forward to this, and the concept is certainly good, with the Kandyman serving confections in an asylum that are used to alter the minds of the inmates. But the execution is kind of lacking: changing the physical appearance of the Kandyman on audio seems somewhat pointless, and changing his voice seems actively counterproductive, no matter how good an actor Big Finish cast in the role! I feel strongly that he should look and sound sickly sweet to work; I like Nicholas Rowe a lot, but I didn’t find his performance in keeping with what I wanted. The story itself is kind of Matt Fitton by the numbers, which is to say that the characters often feel lost inside of its sound and fury. The structure of World of Damnation is probably too clever for its own good, to boot. 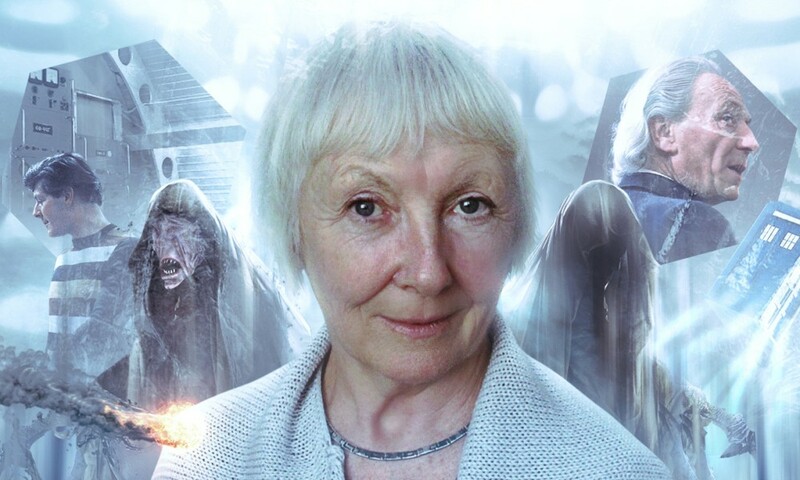 There’s an idea that the Doctor doesn’t trust Helen anymore after her exposure to the Eleven, but it both comes out of nowhere and is resolved without incident. The idea that the Eleven and Helen have some kind of connection now is interesting too, but soon the Eleven is ranting about taking over the cosmos. I really like the concept of the Eleven, and Mark Bonnar’s performance is incredible, but it feels like Big Finish haven’t really figured out what kind of stories to tell with him. His debut in The Eleven in Doom Coalition 1 was excellent, but follow-ups in stories like The Satanic Mill, The Sonomancer, and this story have given him pretty generic Doctor Who villain plots. 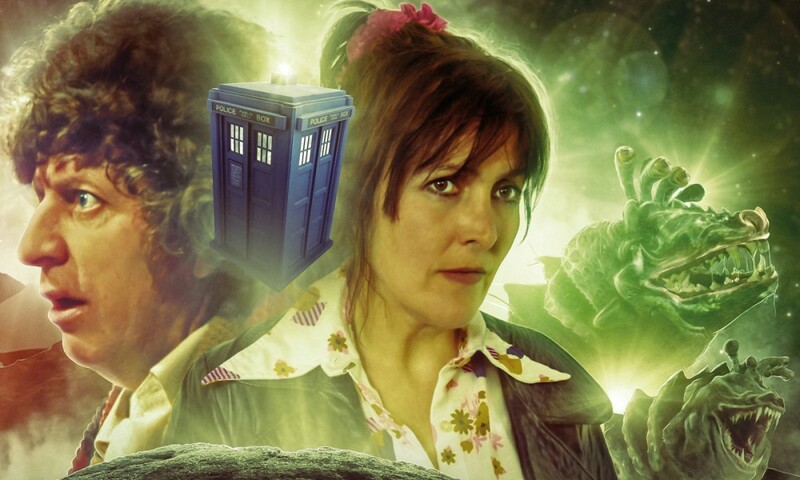 Big Finish have already given away that Julia McKenzie will be playing the Twelve in The Eighth Doctor: The Time War 2, but I hope more is found for Bonnar to do with the character. Nicola Walker will always be great as Liv Chenka, though. Her best showing in this set comes early, with a hilarious bit in Their Finest Hour where she thinks a fighter pilot is making a pass at her, not to mention her utter apathy about Winston Churchill; she also has a couple nice scenes alongside Christopher Ryan in How To Make a Killing. Aside from that, though, she sometimes feels like she’s just hanging out with the Doctor to make sarcastic quips. I love Liv’s sarcasm, but a little goes a long way! Paul McGann is clearly having fun here, but as has recently been the case, doesn’t seem to be given a lot to sink his teeth into. More could have been played up with his and Liv’s differing understandings of “urgency”, for example. On the whole, I was disappointed in Ravenous 1 and found it an underwhelming start to the next Eighth Doctor “saga”. I don’t know if the format is tired, or if John Dorney and Matt Fitton are, or if I am. Paul McGann is and always shall be my favourite Doctor, but this is probably the weakest step forward in his ongoing adventures since the middle sections of Dark Eyes. In an expensive four-part box set, more of import needs to happen than this. 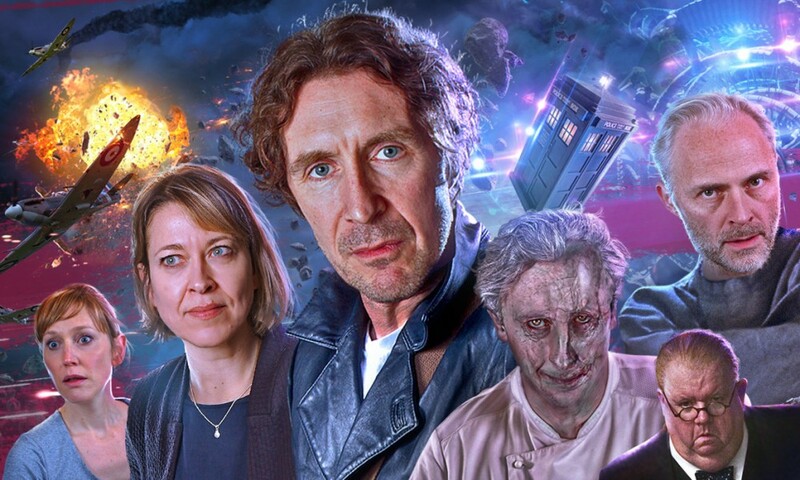 Ravenous 1 (by John Dorney, Matt Fitton; starring Paul McGann, Nicola Walker, Hattie Morahan) was released by Big Finish Productions in April 2018.